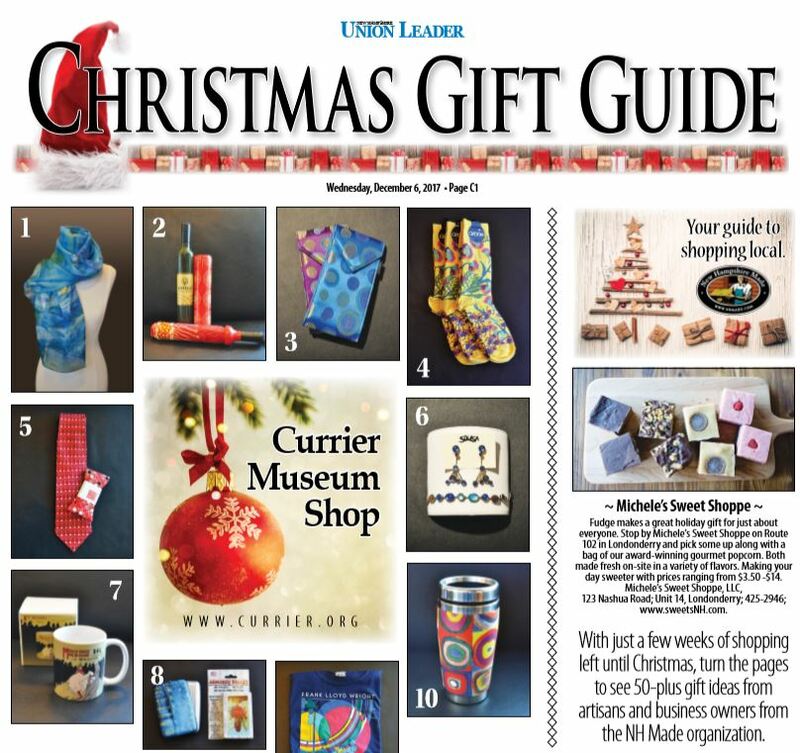 Browse the Union Leader Gift Guide by clicking on the pages below. 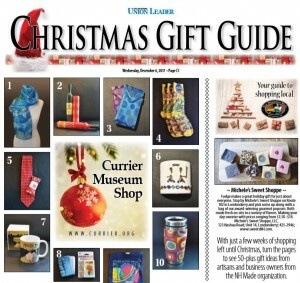 You’ll also have a chance to read more about a few of the NH Made members creating these gifts. Meet Qline Design (a furniture maker inspired by James Bond), UnderTheLeaf Designs (a mother-daughter duo showing how art can make a difference in our everyday lives), and Cymbidium Floral (a designer shattering conventions about floral design). For more unique gift ideas and information about how NH Made can help you shop local this holiday, visit our “Shift Your Shopping” holiday page.